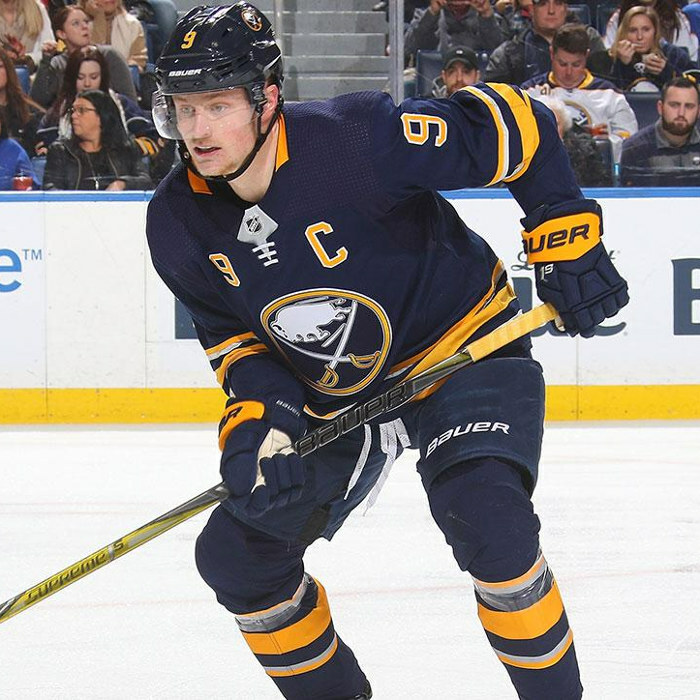 Jack Robert Eichel (born October 28, 1996) is an American professional ice hockey centre currently serving as the captain for the Buffalo Sabres of the National Hockey League (NHL). Eichel was selected second overall in the 2015 NHL Entry Draft by the Buffalo Sabres. Described at the age of 17 as "the new face of American hockey," Eichel is considered a member of a rising class of generational talents in the sport, along with Connor McDavid. Eichel was the recipient of the 2015 Hobey Baker Award, given to the top National Collegiate Athletic Association men's ice hockey player. He was the second freshman to win the award and the first since Paul Kariya in 1993.